Arti A. Lakhani, M.D. is board certified in the fields of internal medicine, hematology, and oncology, and currently works in the Chicagoland area. 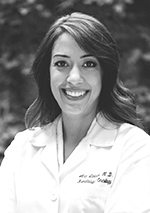 Dr. Lakhani received her medical degree and completed her residency at Rush University in Chicago and her hematology/oncology fellowship at Loyola University in Maywood, IL. She has published numerous articles in the fields of hematology and oncology, and is dedicated to caring for patients with complex malignancies. She has also completed a fellowship in integrative medicine and has established an Integrative Oncology Center to serve the needs of the surrounding community. Dr. Lakhani is a member of the American Society of Clinical Oncology, the American Society of Hematology, and the Society of Integrative Oncology. Her mission is to provide cancer patients with state-of-the-art treatments while incorporating evidence-based complementary and alternative methods. She defines integrative oncology as a practice that not only treats disease, but aims to prevent cancer recurrence, reduce side effects, improve quality of life, and most importantly empower the patient to take an active role in their personal health.